Breathable and waterproof, Keratex Hoof Gel seals and protects hooves prone to softening, crumbling and breaking up in wet and humid conditions. Suitable for use on the entire hoof including frogs, soles and heels. After application, water will be visibly shielded by the waxy layer. Use to effectively strengthen hooves and control moisture content within. Prevents water damage. 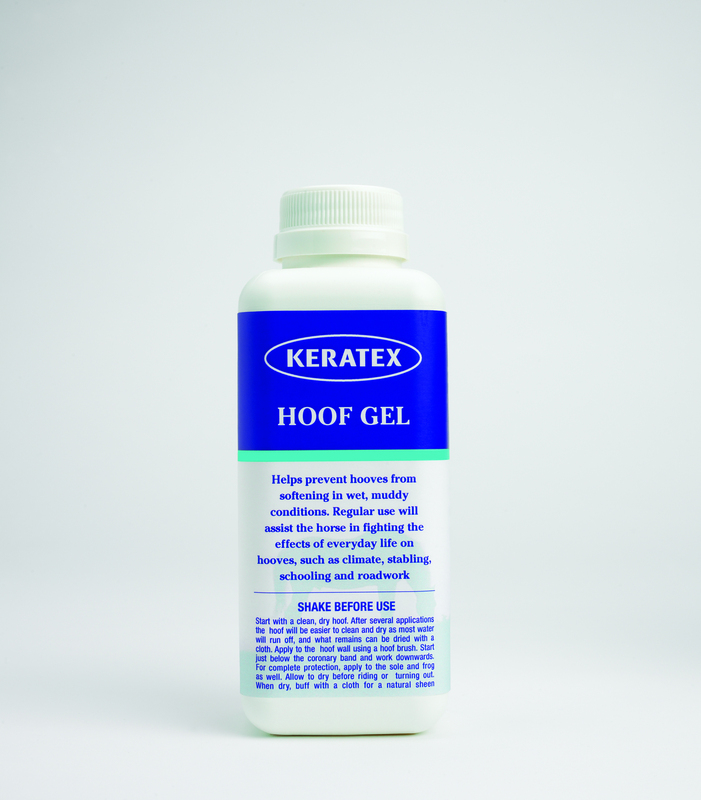 Below are some recent questions we've received regarding Keratex Hoof Gel for Horses, including answers from our team. Do you need to use keratin harder if you are already using keratin gel? My horse keeps loosing shoe's after only two wks of having them on. I've been using keratin hoof harder for a wk but she has still managed to loosened one of her shoe's. Should I use keratin gel aswell as the keratin hardener or can I just use the keratin hoof gel on its own. Also if I'm using the gel do I need to use nail hole disinfectant aswell. It's so confusing and very expensive if I was to buy all three products. Please advise!!! I would suggest you talk to your farrier about this. Generally the more you do to help the hooves, the better the effect. This does indeed get expensive, so you are right to try and choose the most effective product. It is often worth giving a biotin food supplement too, but your farrier and vet who can check your horses hooves are in a better position to advise you.